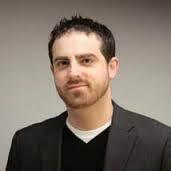 Joseph Inzerillo oversees all aspects of technology for Major League Baseball, including the MLB.com portal, 30 team sites, MLB Network, the Office of the Commissioner, as well as dozens of sports and entertainment partners across the internet, mobile and interactive spaces. With a deep background in next-generation video platforms, Joe has served on numerous advisory boards, was CTO for a startup stage IP television provider and a consultant in the media asset management/video production space. He started his sports career in 1987 with the Chicago White Sox and is the former CTO of the United Center. Celebrating his 27th season in professional baseball, Mr. Inzerillo also was a recipient of the Sports Business Journal 40 under 40 award in 2009.